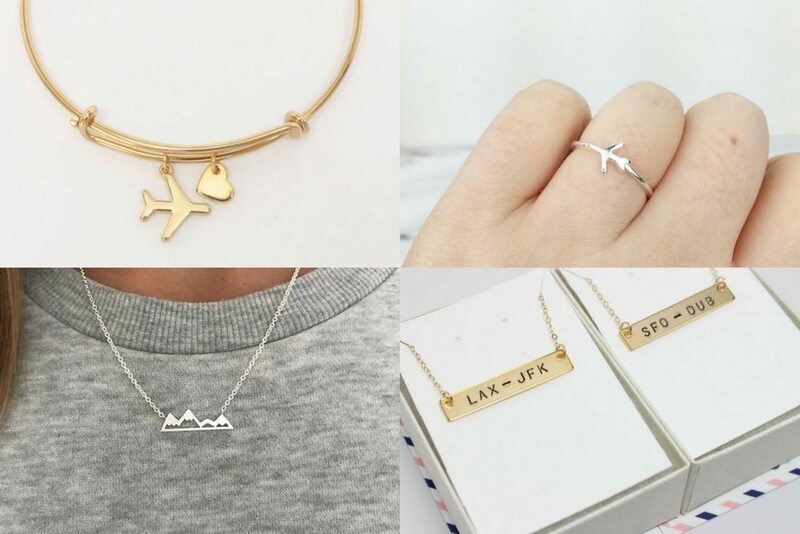 Get your loved ones something special and buy one of these travel inspired jewellery picks! It’s definitely possible to accessorize when you’re travelling. I especially love minimalistic designs when I’m on the road, because they don’t take a lot of space in my luggage or bother me when I’m wearing them. It’s the perfect way to spice up your travel wardrobe without making your backpack, suitcase or carry-on too full. You can’t take your closet with you on a big trip and often wear similar outfits, so with these gifts a traveller can accessorise and make the same outfit look different each day. And of course… Jewellery is often the perfect gift for a special someone, so why not give one of these travel inspired jewellery to that close friend or family member that loves to go on adventures? Or perhaps you even see something to give to yourself! 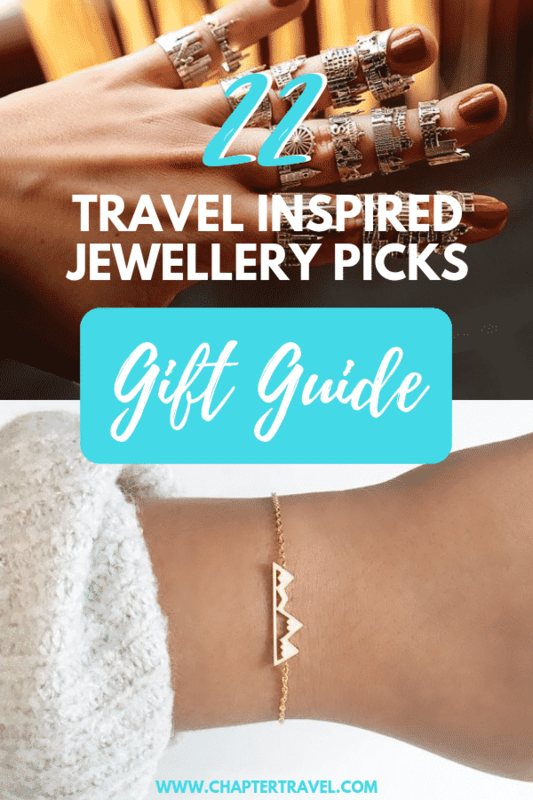 In this gift guide I list 22 beautiful travel inspired jewellery, such as necklaces, bracelets, rings and earrings! I’ve also lso included a pouch that is useful to carry the jewellery in. Some of these picks can even be personalised, making it an even more thoughtful gift. All of these beautiful travel inspired accessoires come from Etsy.com. Be quick, because a lot of items are popular and I’ve noticed that they can sell out really fast. I’ve added some alternative to the most popular items to help you guys out! Be sure to also check out my post with 10 Perfect personalised gifts for travellers for even more meaningful gifts. 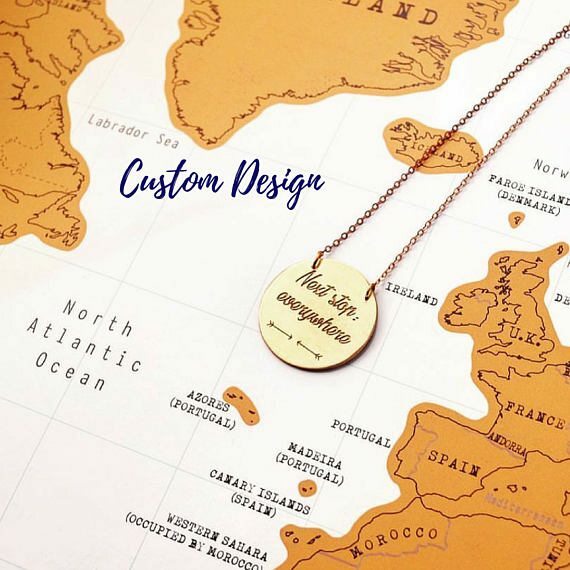 There are a lot of beautiful travel inspired necklaces, such as pendants with a globe, compass and more cute ideas. Below I’ve listed some of my favourites! All of them are small and easy to take along on a trip. I’ve added a link below each product so you can check the price and availability. Be aware that the prices can vary and that the products may not be available at the time. 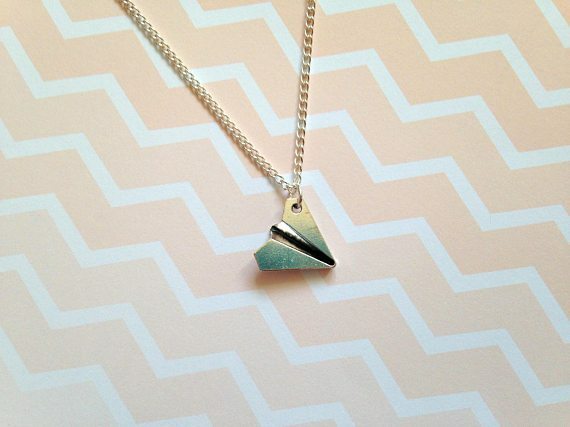 For almost no money you get this super cute necklace with paper plane pendant. It’s perfect for any travel and origami lover! The charm is 17x18mm, while the chain is 45cm long. The pendant is made from Tibetan silver charm and the chain is silver plated. Love it! It makes the perfect gift for any traveller. Check the price and availability on Etsy now. Isn’t this minimalistic necklace with a outlined mountain pendant the cutest? Very original to give to a real adventurer that likes to hike or climb mountains. The necklace comes in both gold and silver plated and we love that it’s always gift packed when sent! Check price and availability on Etsy now. 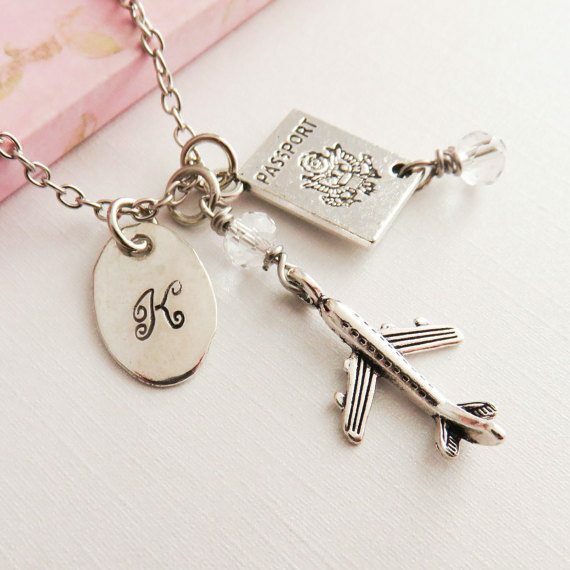 This necklace can be personalised and includes an adorable passport charm, a small airplane charm and a hand stamped initial of your choice. The charms and chain are antiqued silver plated. Such a perfect personalised gift for a traveller! This handmade compass necklace with inspirational quote is a precious gift. The necklace can be customised by adding your favourite quote or coordinates, making it a unique personalised gift. The pendant and chain are made from brass or sterling silver 925 and the chain is 41cm with a possible 5cm extra. Be sure to check out the other variants of this necklace in the Etsy shop by clicking the button below! This compass necklace is made from antique gold brass and includes a leather cord. 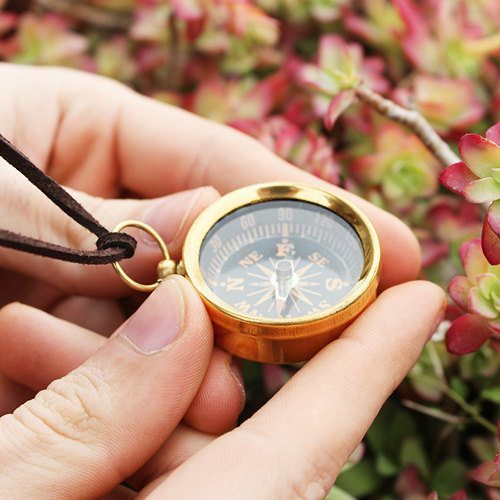 The compass actually works, as it’s equipped with a magnetic needle that will point you in the right direction. To make it an even more special gift, you can engrave a phrase, words or coordinates. Any customisation is possible! It’s definitely a very special gift for a traveller. The compass is 3cm x 3cm big and the leather cord is 80 cm long. This compass is also surprisingly affordable, check it out on Etsy below! This item is often sold out, but the item on number 5 above and number 6 below are both great alternatives to this necklace! It’s a bit pricier than the previous two compass necklaces, but this 14k golden chain necklace with compass pendant is so worth it. 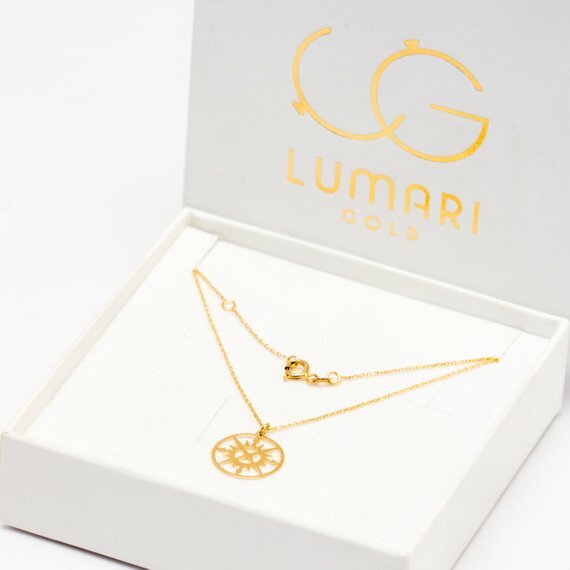 It’s a simple, timeless necklace and they place it in a customised package. It’s the perfect travel inspired jewellery item that can be worn on a daily basis! This cute necklace has a minimalistic world map medal and makes the perfect accessory for female travellers. It comes in both sterling silver and sterling silver 24kt gold plated. Furthermore, the chain size is 40cm and can be extended by 6cm. When you order it can even be wrapped as a gift, makes you all set with your present! This handmade gold bar necklace is a very original travel gift. It can be customised with two airport codes of your choice, so the owner can show off with their favourite places in the world. This would be a perfect gift for expats, as you can write the airport code of their original hometown and the hometown they live now! The gold bar is 16k gold plated and tarnish resistant and the chain is gold filled. As I often get messages that this item is completely sold out, I found an alternative: 14k Solid Gold Bar Necklace and you can completely choose any font or hand written engravings! So you can still customise it with the two airport codes of your choice, making it the same awesome gift as above! 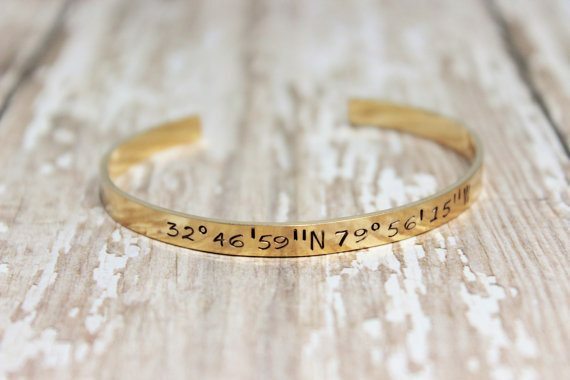 There are a lot of beautiful bracelets that are travel inspired, such as a bracelet in the shape of mountains, a bracelet with a compass, with an airplane bangle and more. Below I’ve listed some of my favourites from etsy.com! Be sure to always check the price and availability, especially around the holidays these items can sell out quickly. 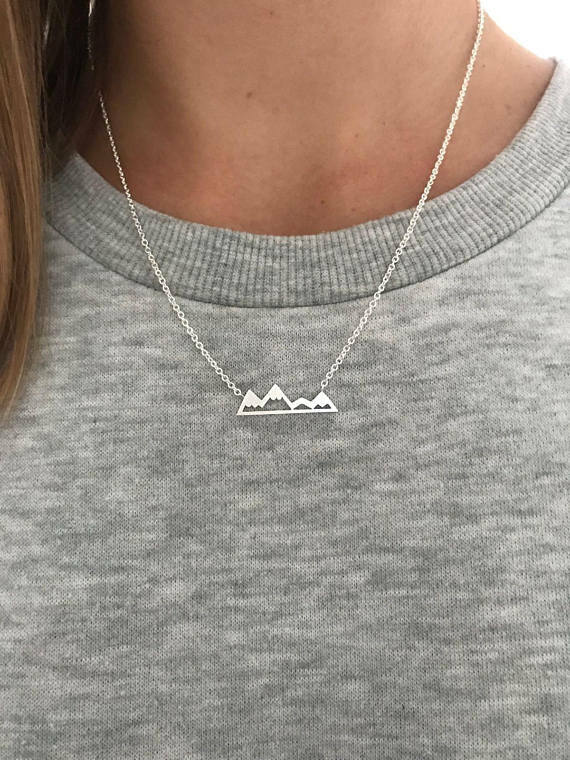 This mountain necklace is maybe even cuter than the minimalistic mountain necklace that I shared above! It’s handmade with stainless steel with a silver or gold plating. I just love how subtle this little bracelet is. This macrame woven compass is a perfect gift for someone that is about to embark on an adventure of a lifetime. It comes with a A6 postcard with an exclusive neo traditional tattoo style compass. The charm is made with Tibetan Silver. I absolutely love this compass bracelet with a birthstone bangle. It’s such a precious gift that comes in gold, rose gold and white gold plating over brass finding. The reason I love it so much is because you can personalise it with a birthstone, makes it a perfect present for any special occasion! 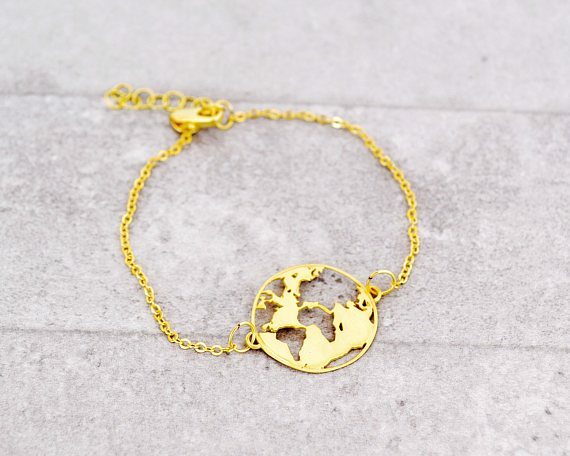 Another beautiful world map medal, but this time on a minimalistic bracelet. Really a perfect handmade gift for a traveller! It comes in either brass or sterling silver 925. So precious! 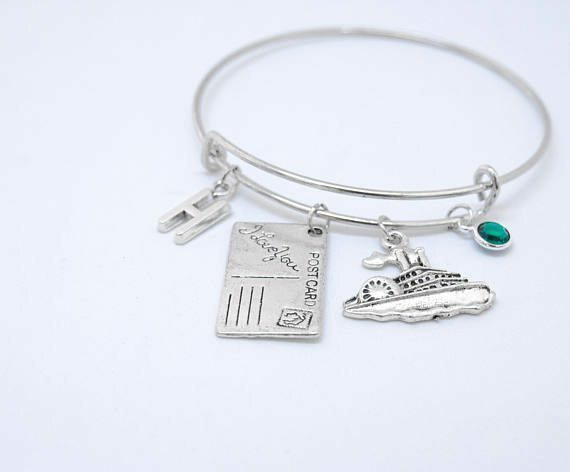 This bracelet comes with cute postcard and cruise ship pendants. 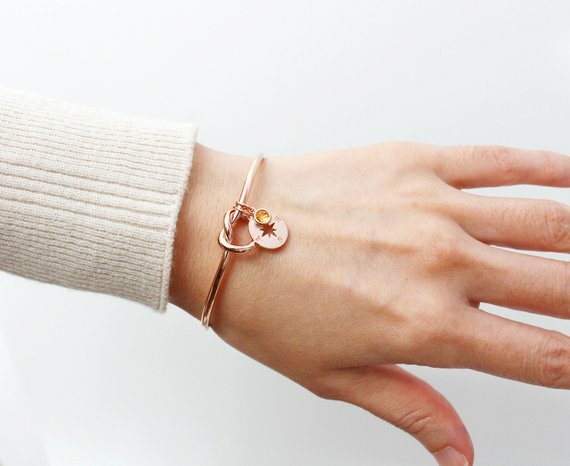 To personalise the bracelet, you can also include a charm with the initial and birthstone! The bangles are made from 100% stainless steel and are 65mm in diameter. It’s also available in 58mm and 50mm, which is perfect for the little globetrotters out there! 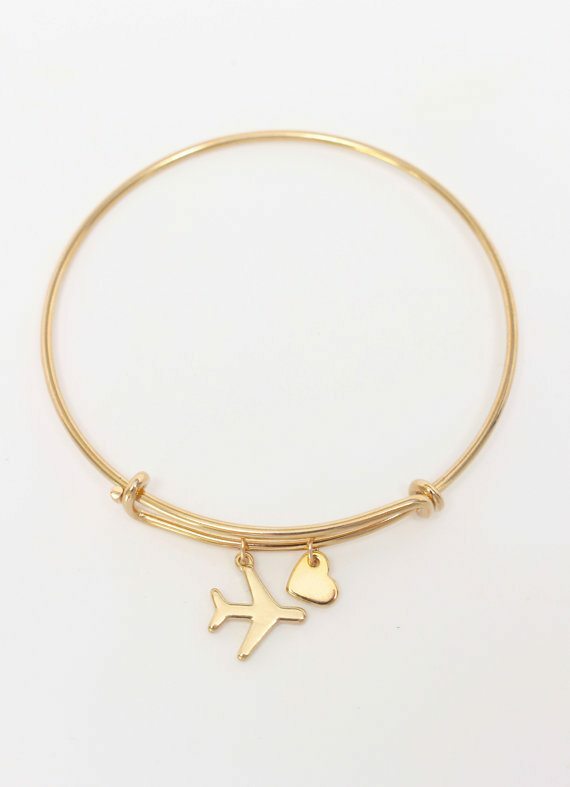 This bracelet clearly shows the love for travel with the minimalistic heart and airplane bangle. 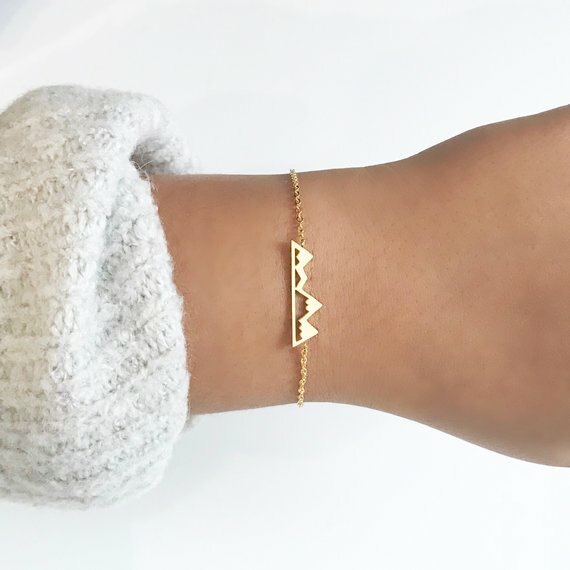 This stackable bracelet is available in both gold and silver. It’s a one size fits all, as the bracelet is expandable. The airplane charm is gold plated over stainless steel and tarnish resistent, and heart charms are gold plated. Such a precious gift! Let that special someone wear their favourite place on their wrist! This personalised bracelet is hand stamped on sterling silver or 14k gold filled. It makes a precious piece of jewellery for sure! Below I’ve listed three of my favourite travel inspired rings from Etsy.com. If you want to check availability and price, please click on the button beneath the bracelet. All the items are listed by price, starting with the cheapest one. Be aware that the prices can vary and that the products may not be available at the time. 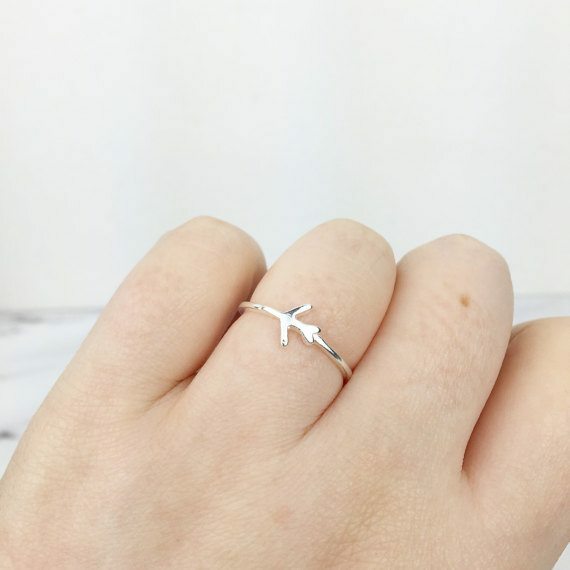 This handmade airplane ring is perfect for any traveller. It can easily be adjusted to fit your finger. It’s made from brass and sterling silver 925, and come in yellow, white, black and pink. 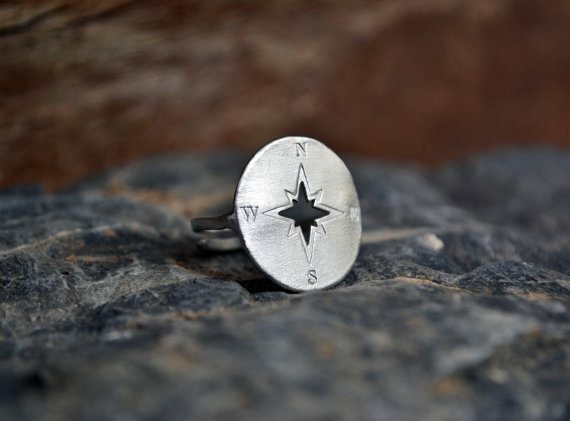 The compass ring is a perfect gift for a globetrotter. It can easily be adjusted to fit your finger. It’s made from brass and sterling silver 925, and come in yellow, white, black and pink. The perfect accessory for a traveller! 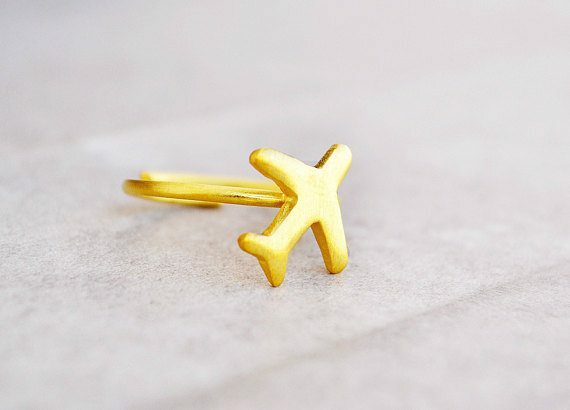 Another cute airplane ring, but this time the jewellery is even more subtile. The ring is sterling silver and is adjustable with an open back, so you can even wear it as a little pinky ring. 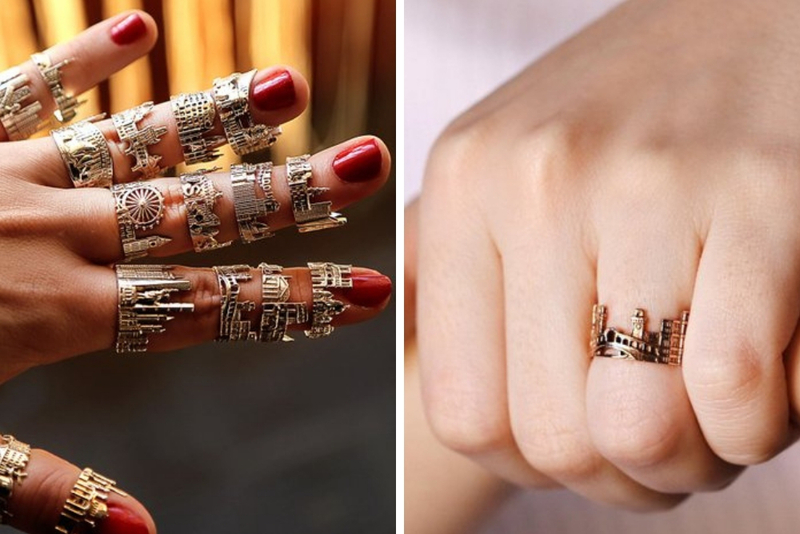 This cityscape ring is the perfect gift for the real citytrip lover! They come in various cities: London, Rome, St. Petersburg, Las Vegas and more. The rings include the famous highlights of the city and come in solid 925 Sterling silver, gold plated, rose gold plated and solid 14k/18k gold, rose gold, white gold and platinum. There are a lot of beautiful earrings that are travel inspired, such as pendants with a globe, compass and more cute ideas. Especially smaller stud earrings are perfect for a traveller as you can just keep them in all the time. Even if a traveller has multiple type of stud earrings, these don’t take that over that much space! Below I share some of my favourites for you. 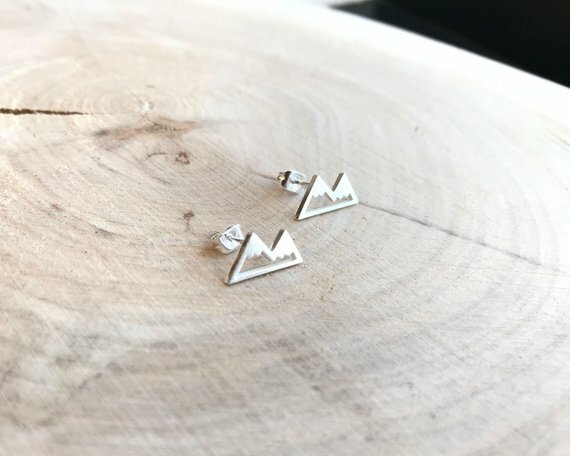 The mountain necklace and bracelet you saw in this list earlier is also available as cute minimalistic mountain earrings in both gold and silver! Can you tell they are my favourite ;)? 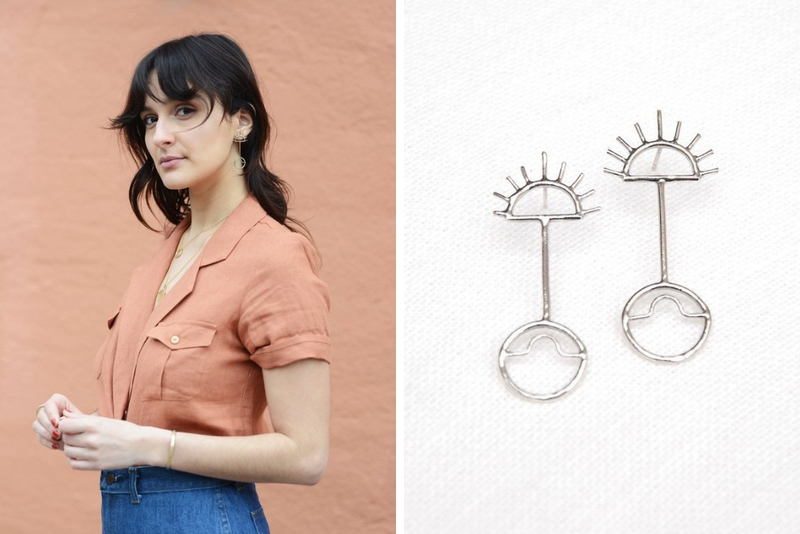 These earrings are definitely the perfect gift for any traveller (maybe even for yourself?) as they are simple, yet elegant and barely take in any space in your luggage. Another perfect pair of stud earrings! 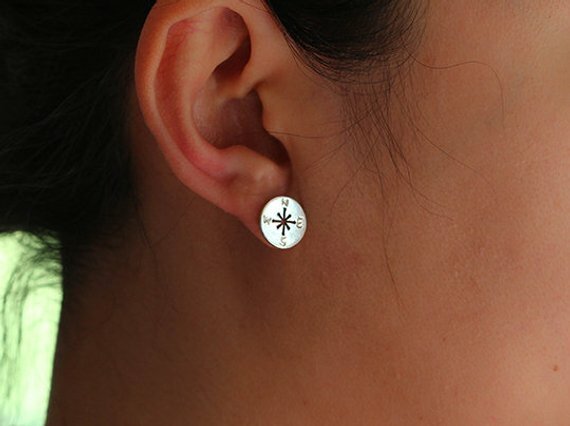 These adorable compass earrings are handmade with 100% solid sterling silver. They are the perfect gift for backpackers, globetrotters and any type of traveller out there! Even though these statement earrings aren’t as practical as stud earrings, I just had to include them in this list. These handmade, sterling silver earrings are absolutely beautiful and are the perfect statement piece for any nomad. Are you planning on popping the big question? If you both love to travel the world together, this beautiful World Map Engagement ring is perhaps the perfect fit for you. On this very special engagement ring you’ll find the whole world, from Madagascar to New Zealand, Australia, Japan and Iceland. This ring is custom made in New York with 14k Gold or Yellow Gold. 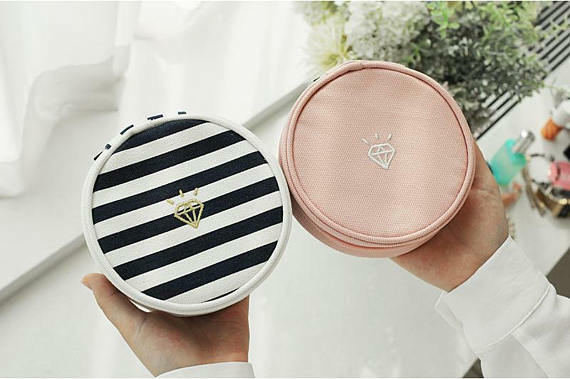 This cute jewellery pouch is useful when you’re travelling! It’s super compact and has a lot of storage possibility. It’s made from suede and cotton and comes in the designs pictured above. Great gift if you want to make it easier for your friend or family member to carry around all their beautiful jewellery. I hope you found the perfect travel gift in this gift guide! Who said that globetrotters can’t look good while travelling? 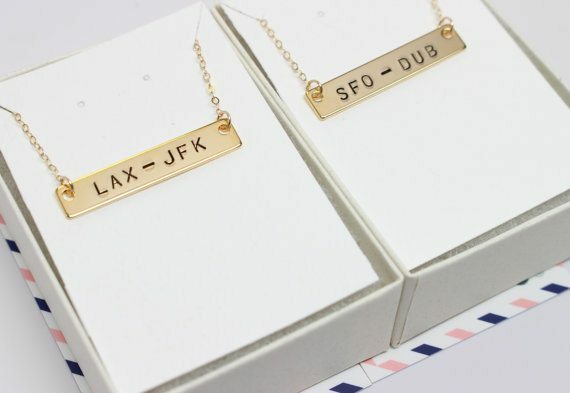 😉 These 22 travel inspired jewellery picks are definitely thoughtful and meaningful to gift to any traveller and will make their travel wardrobe so much more diverse!